Copper Harbor from the Brockway Mountain lookout. Brockway Mountain Drive is the highest paved road between the Rockies and the Alleghenies. Reaching into Lake Superior from the northernmost tip of Michigan's Upper Peninsula is the Keweenaw Peninsula. Home to hardwoods, sandstone cliffs, and lake-effect snow, the Keweenaw's beauty is unparalleled. Pronounced kee-win-awe, the peninsula was formed by ancient lava flows, giant ice sheets, and mid-continental rift. 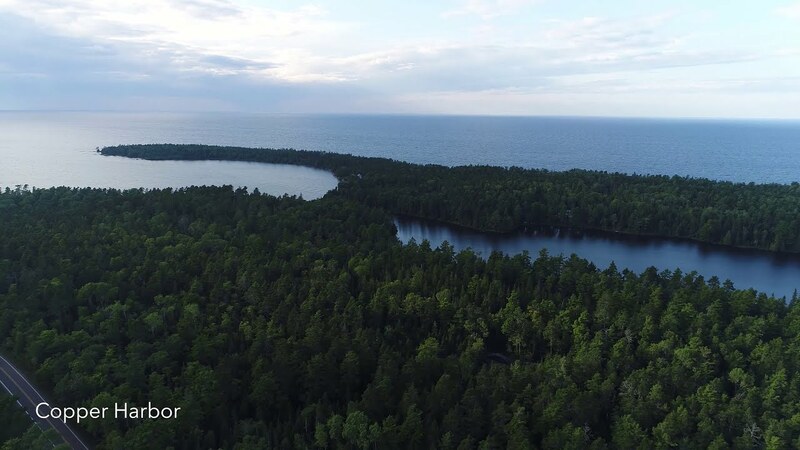 Explore the Keweenaw and find wild, unique landscapes—among the most breathtaking in the country. Start at the top. Copper Harbor. Take a hike (or the scenic drive) up Brockway Mountain for a 360-degree view of Lake Superior. Bring your binoculars for an up-close view of "hawk highway." Stay long enough to watch the sun set and, if you're lucky, catch the Northern Lights. Get out on the water. Take the ferry to Isle Royale, one of the nation's few island national parks. A federally protected wilderness, backpackers, kayakers, and canoeists travel to the island during warmer-weather months for its picturesque harbors and dense forest. Isle Royale boasts no roads of any kind—all travel is by foot or boat. Reaching into Lake Superior from the northernmost tip of Michigan's Upper Peninsula is the Keweenaw Peninsula. Hear the land sing. Bete Grise is the stuff of legend. A nature preserve of bay and beach, the sand can be made to sing by pressing down with the palm of your hand. Strike the sand, and it barks. According to local legend, the sound belongs to a Native American maid who calls from the shore to a lover lost to the Great Lakes. The sand is said to lose its musical properties if removed from the beach. Many believe the beach was named for a strange gray creature that roamed the shore (bete grise is French for gray beast). Yet another local legend says that when Native Americans burned off the blueberry bogs after harvest, the smoke rolling across the bay looked like a gray beast. Get lost in the woods. At the base of the Keweenaw lies the Porcupine Mountains Wilderness State Park, Michigan's largest area of undeveloped wilderness. Covering 92 square miles, the park is a nature lover's dream, comprising virgin forest, scenic waterfalls, shoreline, 87 miles of hiking trails, and virtually no roads. 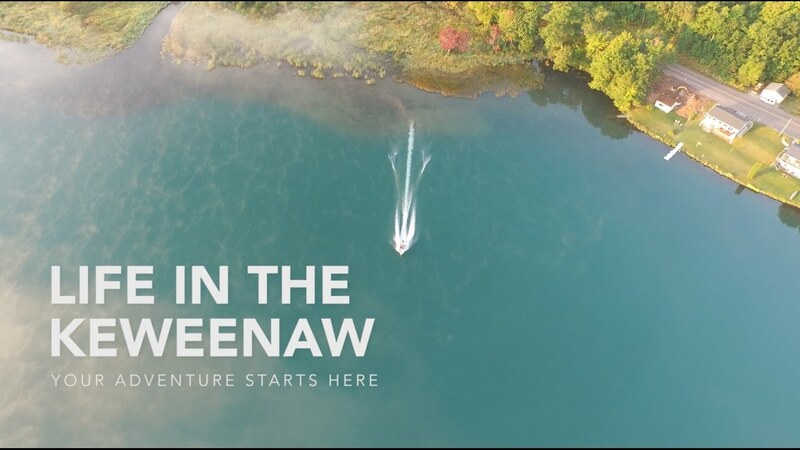 Learn more about the Keweenaw. The Keweenaw Peninsula is temperate, with four distinct seasons. Springtime brings wildflowers, migratory birds, and an abundance of waterfalls. With approximately 200 known drops in the area, the bluffs of the Keweenaw never disappoint. Summer follows as temperatures climb to the mid- to high-70s. It's the best time of year for hiking, mountain biking, and any activity out on the water. Autumn arrives in mid-September with some of the country's most stunning foliage. The city of Houghton averages 218 inches of snow every winter. But let's face it—winter is what the Keweenaw is famous for. Lake Superior keeps our temperatures from falling too low (hovering in the 20s) and creates a bounty of lake-effect snow. 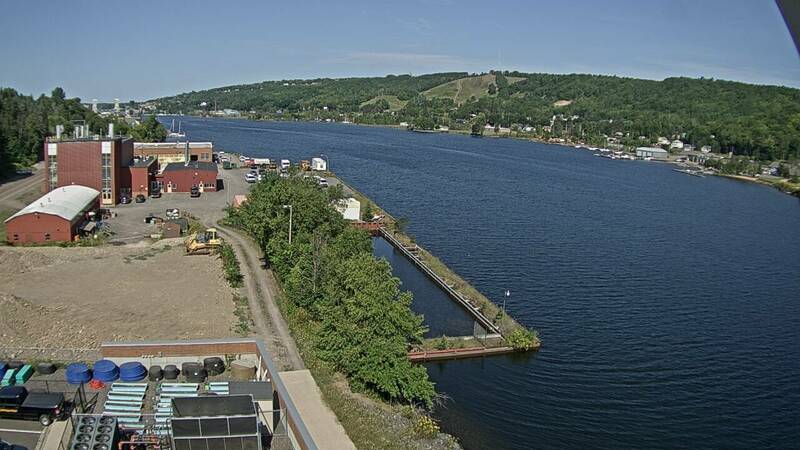 The city of Houghton averages 218 inches every winter. Up here, snowy weather isn't an inconvenience—it's part of the culture. Quick and thorough snow removal is a point of pride, and schools rarely close due to the white stuff. On foot. The Copper Country boasts hundreds of miles of maintained trails. Whether you're looking for a short, rigorous hike or a long, easy stroll, the perfect hike awaits you. On the water. Lake Superior and her inland lakes let you kayak, canoe, swim, boat, and waterski throughout the warmer months and ice skate when winter arrives. On your bike. The Keweenaw is an unrivaled mountain bike destination. Hundreds of miles of diverse trail systems wait to be explored. Options near Houghton-Hancock include Michigan Tech's Tech Trails, Churning Rapids, and Swedetown. Or head further north to Copper Harbor. The Copper Harbor Mountain Bike Trails are an International Mountain Bicycling Association Silver Level Ride Center, ranking among the top trail systems in the world. On skis. Downhill or cross-country. Mont Ripley Ski Area offers 24 trails (from beginner to expert), a 440-foot vertical drop, 112 acres of skiable terrain, six different glade runs, three lifts, and a four-lane tubing park. Nearby Mount Bohemia is not recommended for beginners. It's designed for backcountry thrill seekers and has the longest runs with the highest vertical and deepest powder in the Midwest. If you prefer a cross-country adventure, the Keweenaw offers countless opportunities. Michigan Tech's Tech Trails and Recreational Forest spans 500 acres with 35 kilometers of trails, half of which is lighted during the winter months. Tech Trails has hosted U.S. and junior cross country skiing championship races. Look up. By all measures, our epic summers are loved by Keweenaw stargazers and Aurora spotters. The Northern Lights offer a spectacular night sky radiating green and violet light speckled with stars. There are many great viewing locations that are not too far from Michigan Tech. There are many activities and attractions to explore in the Keweenaw. The first weekend of March finds more than 350 dogs racing through the Keweenaw. 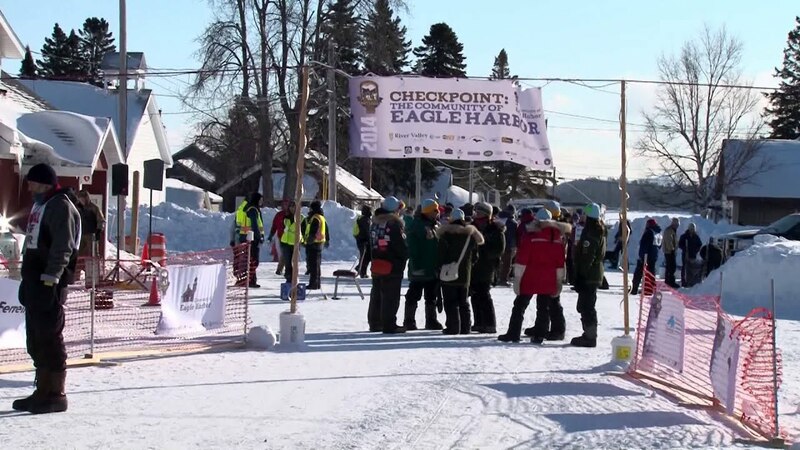 Founded in 2009, the CopperDog 150 and CopperDog 40 are annual dog sled races that attract mushers from around the world. The CopperDog 150 features teams of 10 dogs and covers 150 miles in three days. The CopperDog 40 features teams of six dogs and covers approximately 40 miles in one day. CopperDog promotes community vitality through sled dog racing and provides education on the history and sport of sled dog racing. Numerous public events—such as classroom visits, volunteer training, "Meet the Dogs" events, and free sled dog rides—are held throughout the year. A Michigan Tech tradition. Organized by Blue Key National Honor Society since 1934, Winter Carnival started in 1922 and has grown to become one of the largest annual winter festivals in the nation. 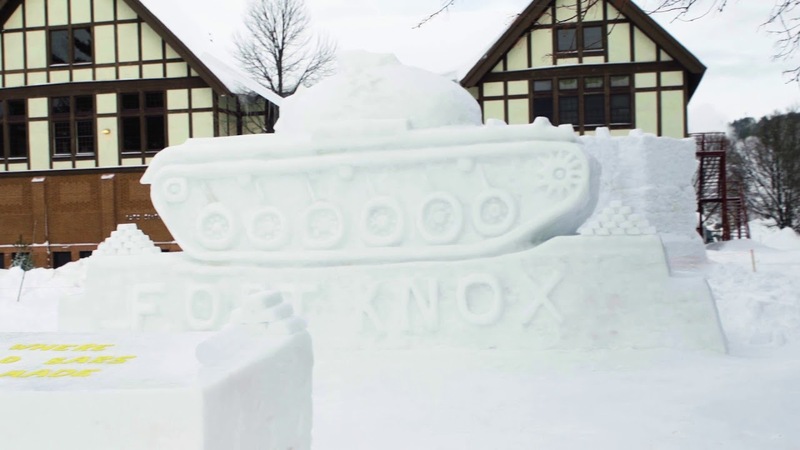 Featuring dozens of huge, intricate snow statues all around campus and the community, this event also brings together students to participate in broomball, comedy skits, sleigh rides, a queen coronation, and lots of winter fun. 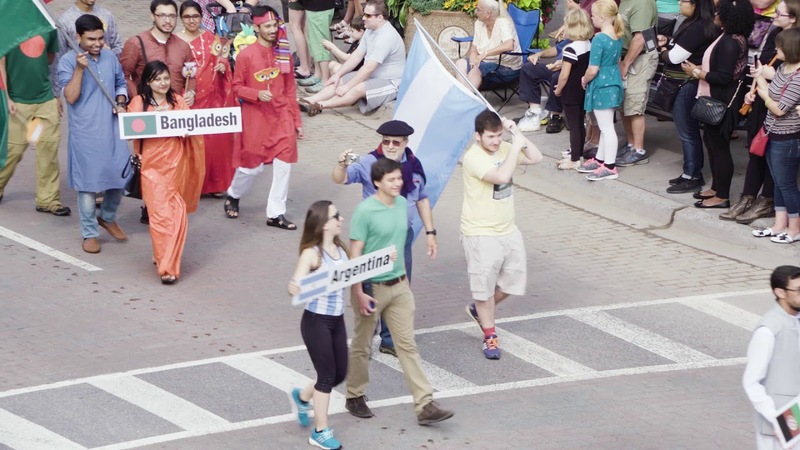 Michigan Tech hosts the region's largest, oldest multicultural festival, flying the flags of more than 50 countries represented on campus and in the Houghton community. Thousands participate in this special celebration in mid-September, enjoying international food, entertainment, and family activities promoting global peace and unity. Sitting mere feet from the shores of Lake Superior, Fitzgerald's Restaurant—The Fitz—is an award-winning destination in the Keweenaw town of Eagle Harbor. The Fitz's southern style barbecue is among the best and most authentic in Michigan, and its drink menu offers a wide-ranging selection of fine whiskey and craft beer. The Fitz prides itself on being a family establishment—it's a rare night when you won't see children playing on the beach. Thirty miles north of campus, Byzantine monks devote themselves to a common life of prayer, service … and jam. The Jampot, their bakery and jam shop, is at the top of every "Best of the UP" list and consistently labeled a "slice of heaven." Thousands of tourists travel to the Copper Country from May to mid-October for divine treats in a breathtaking location. From a tap bar to a speakeasy (shuttered during Prohibition) to the best pizza in the state. Ranked in the top 10 for Michigan's Best Pizza, the Ambassador Restaurant on Shelden Avenue is a must for every resident and tourist. The restaurant walls feature murals originally painted for the Bosch Brewery in Germany at the turn of the 20th century. Purchased by the Ambassador's owners in the late 1940s or early 50s, the oil-on-canvas murals feature gnomes in various states of celebration. Strawberries have been an important part of the local economy since the 1920s. The Copper Country Strawberry Festival began in 1949. To this day, locals still enjoy their strawberries. The annual event includes arts and crafts in the park, children's games, parades, a queen coronation, live music, a fish boil, berry judging, and an auction. Rated the Keweenaw one of the top 10 outdoor adventure spots in the country. Pristine shorelines earned the Keweenaw Peninsula second place on Lake Superior Magazine's "Top 10 Lake Superior Destinations" list.